Like moths to a light, generations of holidaymakers have travelled to enjoy the delights of the coast of southern Spain. This remarkable Mediterranean coastline has all the ingredients that a sun seeking holidaymaker desires. But where are the best places to go in Andalucia? 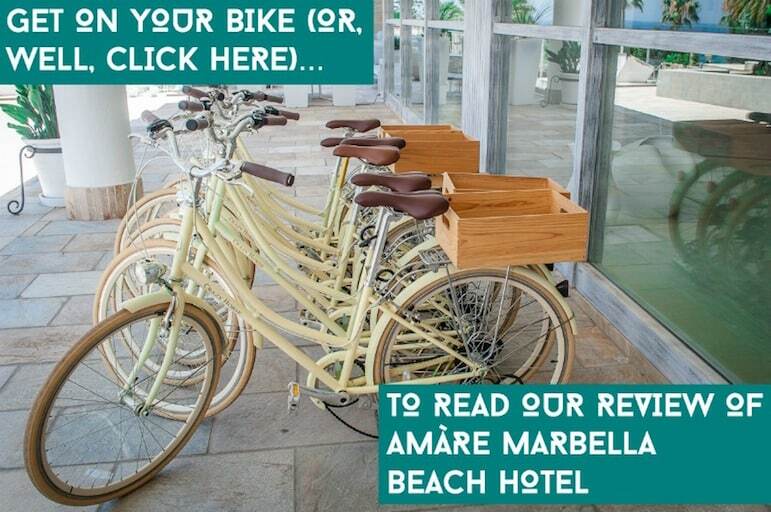 Recently we had a fabulous stay at the Amàre Marbella Beach Hotel, which fronts onto the beach, in Marbella. With its beach club, spa, restaurants and even a rooftop bar, it was the perfect place to relax, but we’re never ones to rest for long. So it got us thinking, away from the beach just what else is there to see and do? Andalucia is a large, fascinating region of Spain, with much history, culture and many faces to life there. 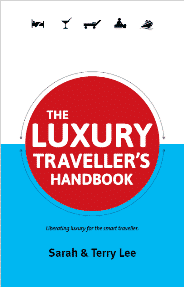 There are major cities within reach of the coast such as Granada, Seville, Málaga and Jerez. In truth, most visitors to the sunshine coast of the Costa del Sol enjoy just that – the sunshine, and don’t venture too far. But from within a short walk to an hour’s drive, we found plenty to enjoy from our cool adults-only hotel. Magnetic Marbella’s sun, sea and sand attractions are well-known. 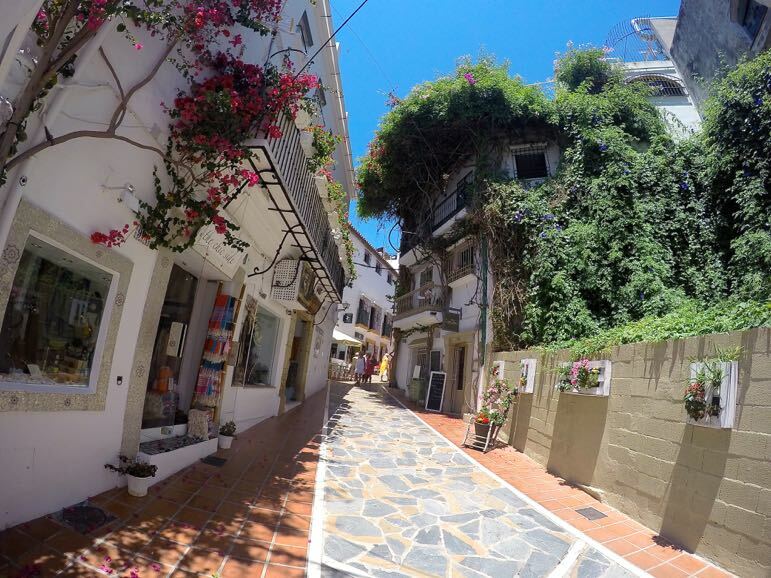 But you don’t have to go far to enjoy the Marbella of yesteryear in its colourful and characterful old town. It would be remiss to not see its maze of quaint narrow streets, with their array of little shops, ancient churches, museums and the gorgeous Plaza De Los Naranjos, or Orange Square. 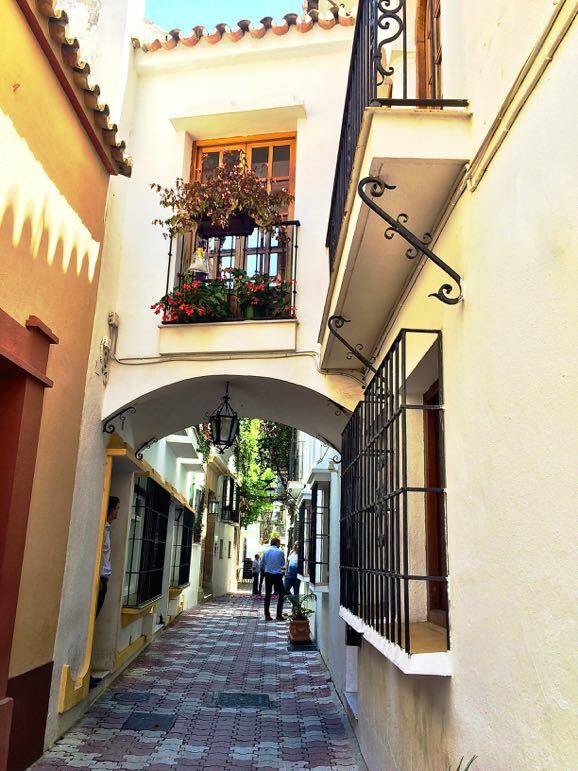 You can spend half a day or more in Marbella’s old town just strolling and taking in the sights. It’s also a refreshing change of pace from the beach. Here narrow cobbled side streets open out into delightful squares, and leading off in all directions are chic boutiques, quirky shops, historic churches and museums. There are also a great range of cafés, restaurants and tapas bars where you can linger long and enjoy some shade from the Andalucian sun. 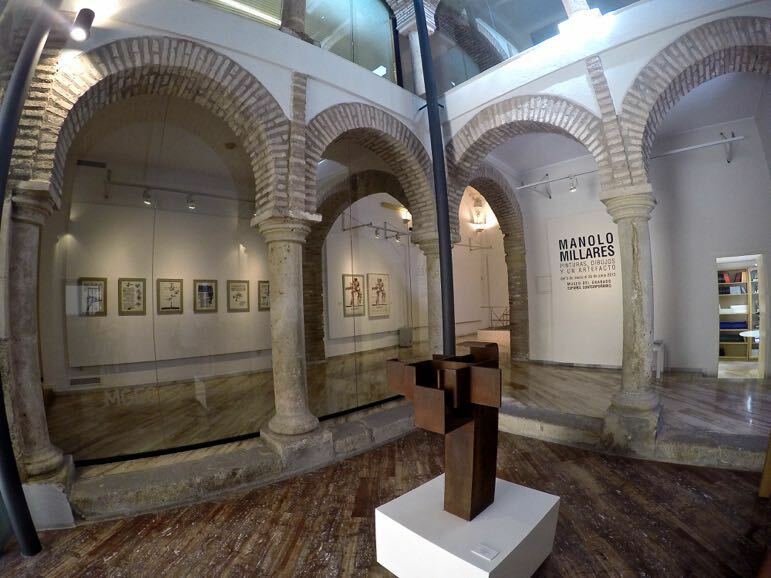 Our top picks of places to go in the town would be Plaza de los Naranjos for lunch surrounded by orange trees, the Spanish Contemporary Engraving Museum in the 16th century Hospital Bazán, Marbella, which has works by Picasso, Miró and more. 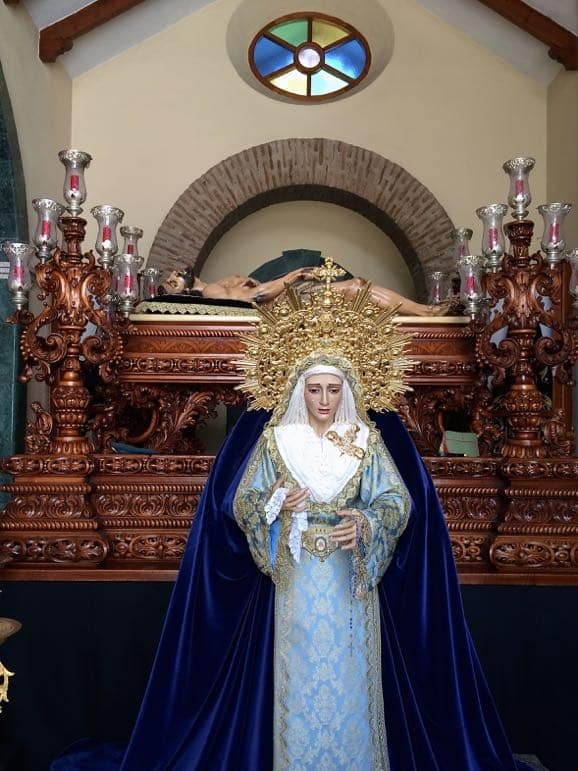 We also enjoyed spotting Marbella’s numerous street chapels – Catholic icons staring out from various corners of the town. Finally we stopped for ice cream – some of the best we’ve tasted – at Helados Artisanos, which has a fantastic range for every sweet tooth. 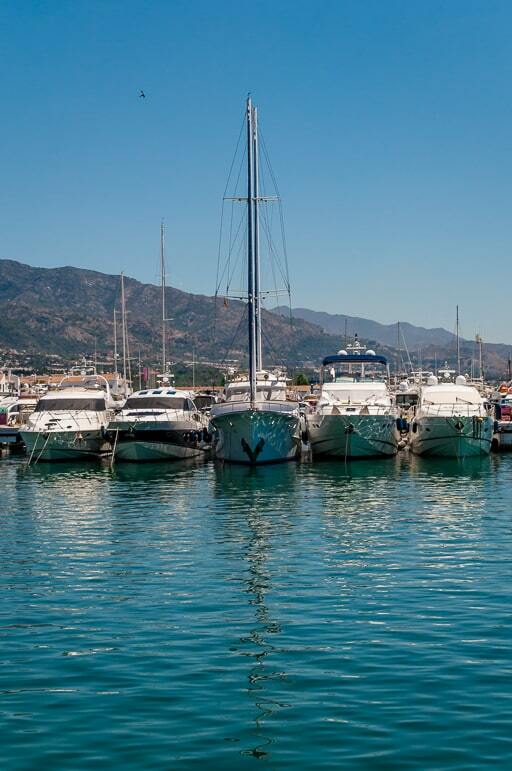 While cosmopolitan Puerto Banus – not quite Marbella but just a few kilometres from the old town – is small in size it is big, very big on everything else. This is the glitzy enclave of the Andalucian coast. Strolling around it is hard not to be impressed by the sheer size and number of yachts gently bobbing in its marina. All around town a constant carnival of luxury cars – Lamborghinis, Jaguars, Ferraris, Maseratis and Bentleys – slowly and deliberately parade themselves. 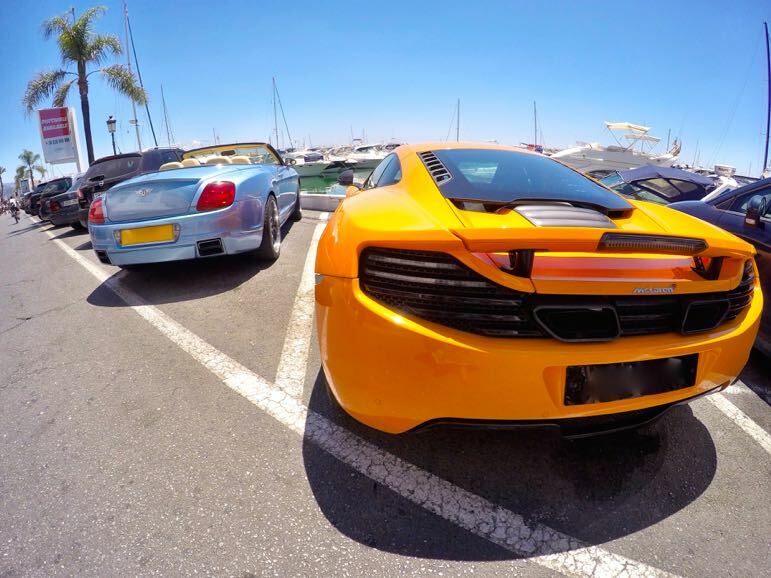 But Puerto Banus has other attractions – this is the place to go for serious luxury shoppers. The marina has a multitude of designer shops, including Gucci, Cartier, Bulgari, Louis Vuitton, Jimmy Choo and many more. But even if your wallet doesn’t stretch that far there are plenty of high street names such as Karen Millen, Zara, and H&M. There are also a plethora of great restaurants, bars and glitzy clubs. Just one hour’s drive from Marbella is Málaga, a vibrant, thriving city, with a bohemian edge. Málaga has undergone extensive but complimentary revamping and restoration over the past few years, making it historic and culturally rich, and yet a modern coastal city at the same time. It was the home of world-renowned artist Pablo Picasso and his works are extensively displayed in the Picasso Museum. His birthplace on Plaza de la Merced is also worth a visit and is the headquarters of the Picasso Foundation. Fans of modern art will enjoy the Centro de la Art Contemperáneo (CAC) which runs challenging exhibitions throughout the year. 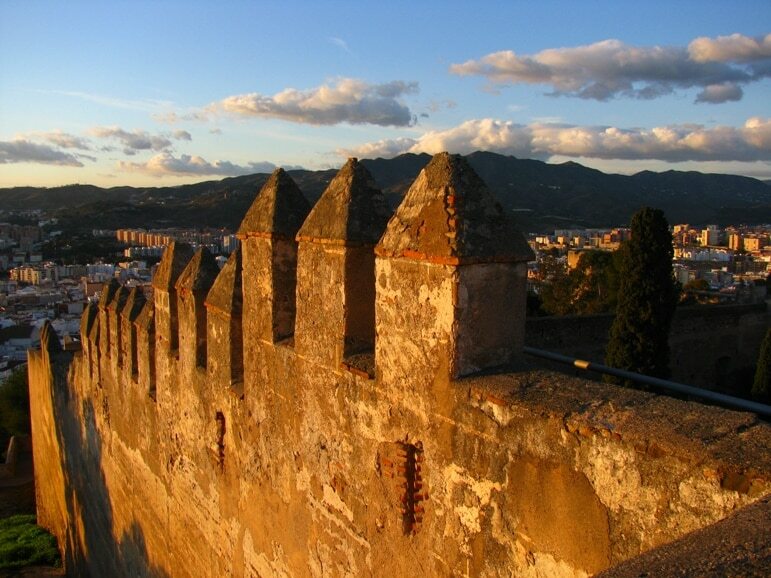 If you only have a short time in Málaga be sure to see the fortresses of the Alcazaba and the Castillo de Gibralfaro. 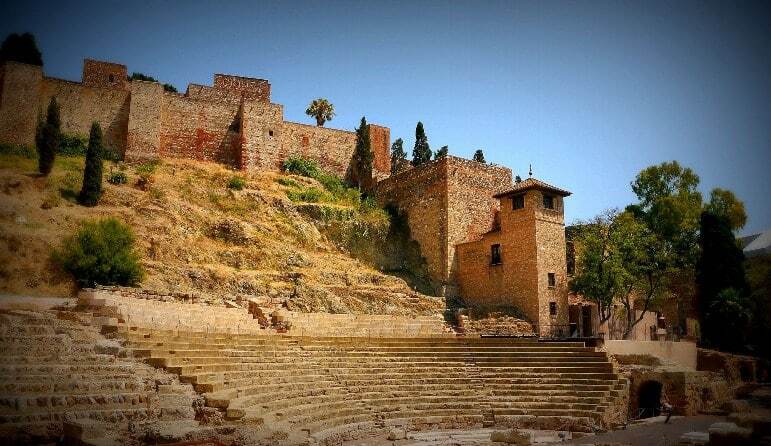 The Alcazaba is the most important attraction in the city, and dominates Málaga from its imposing hilltop location. It is regarded as the best preserved Moorish fortress in the whole of Spain. The 14th century Gibralfaro castle overlooks the city and gives fabulous views over Málaga, you can even walk its ancient walls. 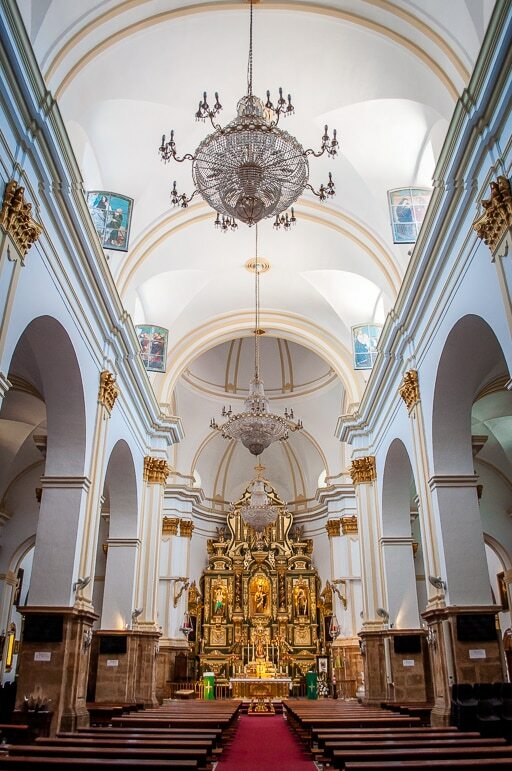 Málaga’s Baroque cathedral is also worth seeing. It is referred to as the “one-armed woman” because its south tower remains unfinished, but it is beautiful by the golden light of sunset and has some fine works of art inside. 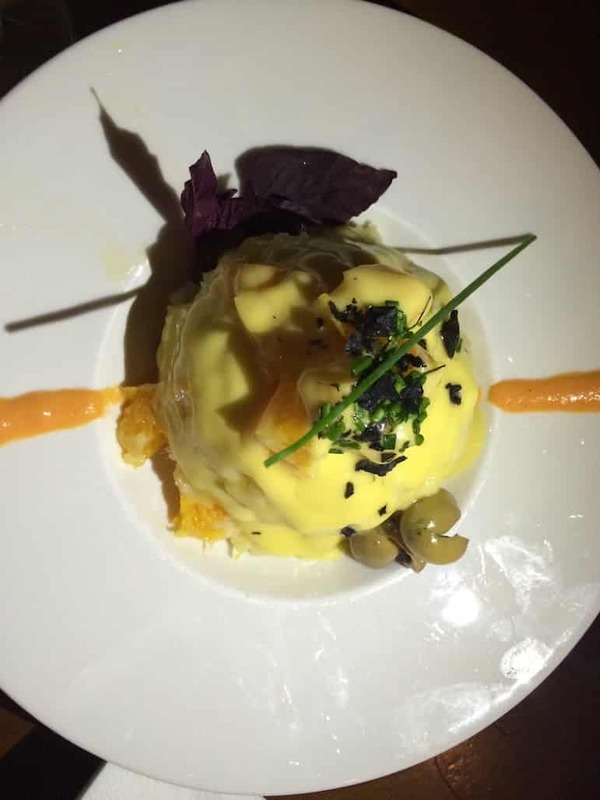 The city also has its own food culture – popular dishes include Malaga Salad, made with salt cod, potatoes, orange and onions, while it also serves up a great array of sweet wines. Taste the wines straight from giant barrels at historic Bodega Antigua Casa de Guardia in Málaguenos-style over fresh shellfish. There’s plenty of great choices for tapas such as one of our favourites, El Pimpi, where dishes are served fresh surrounded by yet more barrels – this time signed by famous local faces like Paloma Picasso. Follow in the footsteps of the United States’ First Lady, Michelle Obama and pay a visit to the magnificent town of Ronda. Ronda is a jewel in Andalucia’s crown and well worth the winding road – and at times heart-in-your-mouth hairpin bends – up from the coast to see it. One of the major landmarks is the 18th century triple-arched stone bridge of Puente Nuevo, that straddles the El Tajo gorge. From a lofty elevation, to the Serranía de Ronda mountains, the enchanting town of Ronda is replete with dramatic views, cobbled streets and historic buildings. Ronda is a wonderful place to wander and soak up the heritage. It has Spain’s oldest bullring, the Plaza de Toros, which today is a museum, but you can walk around the fighting arena to take in its architecture. Another highlight is the Baños Arabes, or Arab Baths, built during the Moorish reign of Andalucia, which are the best preserved in the Iberian peninsula. 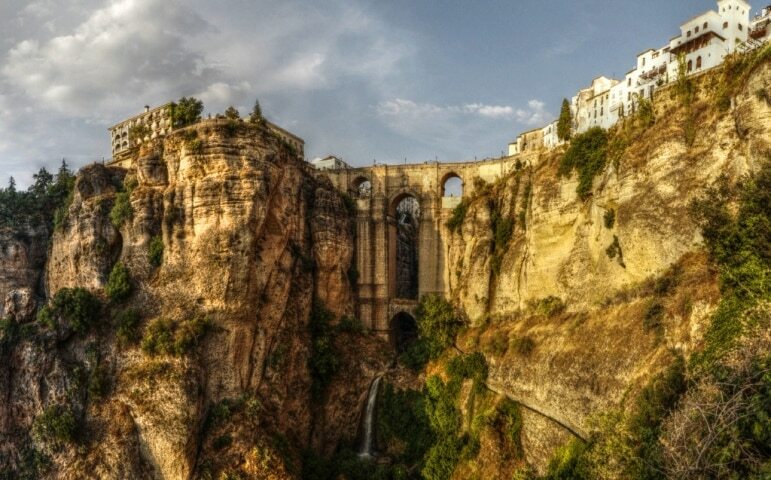 Ronda is an elegant, grandiose town, perhaps befitting its lofty location. 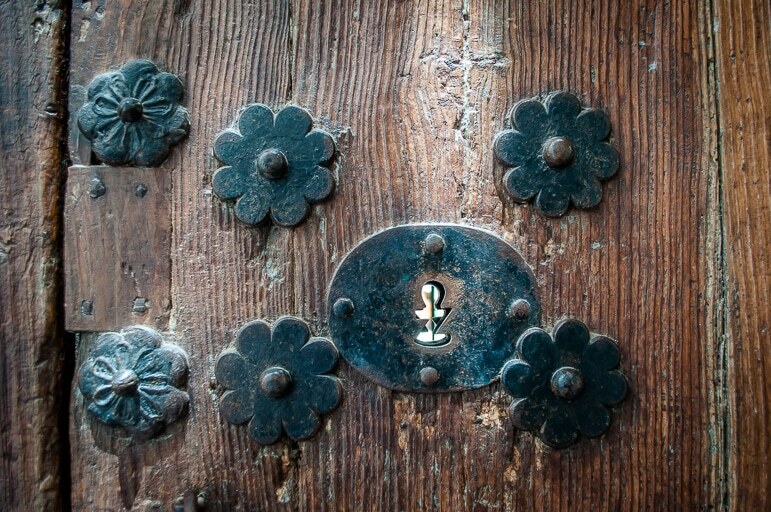 But then you’ll find a grand history, heritage and culture in so many of the cities and towns of Andalucia, Spain. 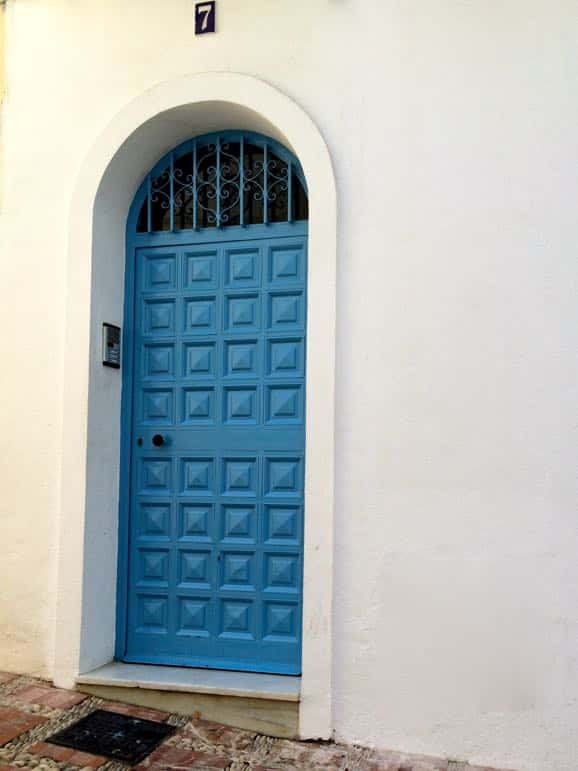 And though we enjoyed our stay at the Hotel Fuerte Marbella – Andalucia gave us many great reasons to not just get out and explore, but to return to the hotel again. I visited the towns of Andulacia while on a project with Fuerte Hotels. As always my views are all mine and I only write about places to go to that you need to know about. The photos are a combination of Nikon D5000, GoPro and iPhone, we’re pleased you like them. The photos are amazing! Hopefully I will get to visit some of these places and more as I too am going to be teaching English in 2016-2017. Hope my pictures will be as great.